Access to quality early childhood education and care (ECEC) is an essential right for all children. Yet the current child care system is failing our children – Aboriginal and Torres Strait Islander children are twice as likely to be developmentally vulnerable early in life, and only half as likely to access early education as non-Indigenous children. In 2014 the Productivity Commission identified a 15,000 gap in early learning places for Aboriginal and Torres Strait Islander children, and since that time there has been no significant change in our children’s representation in government approved child care. We know that almost half of our children who are removed to out-of-home care are removed by age four. The evidence shows us that a well-resourced Aboriginal and Torres Strait Islander ECEC sector is essential to shifting the trajectory for our children. Without these unique and essential ECEC services, we will continue to see Aboriginal and Torres Strait Islander children falling behind and the numbers of our children in out-of-home care will only continue to grow – projections showing that the number and representation of our children will triple by 2035. In March 2017 the Commonwealth government introduced sweeping changes to Australia’s child care system under the Jobs for Families Child Care Package that will commence from mid-2018. SNAICC welcomes the commitment for $61.8 million per year of quarantined transitionary funding to support Aboriginal and Torres Strait Islander ECEC services currently funded under the Budget Based Funding (BBF) program. However, SNAICC has ongoing concerns that the new system will not address the gap in access to ECEC for our children, and may threaten to increase the vulnerability of children and families – leaving Aboriginal and Torres Strait Islander children behind. The activity test introduced in the new system reduces the minimum subsidised hours of child care available for some families on low incomes where either parent does not meet work or study requirements to just 12hrs per week, restricting access for children experiencing vulnerability who stand to benefit most from vital early learning. This will negatively impact developmental outcomes for our children, many of whom are already lagging behind. The majority of centres set up under the Aboriginal Child and Family Centre (ACFC) initiative are not eligible to apply for key streams of funding under the new system. Without access to the necessary funding and supports these services face reducing their support for children and families experiencing high levels of vulnerability. The new system does not provide the adequate commitment to address the 15,000 early learning place gap for Aboriginal and Torres Strait Islander children. There is a lack of targeted initiatives for Aboriginal and Torres Strait Islander families, and the new system places no requirement on mainstream services to demonstrate cultural competence. Additionally, there is no prioritisation of community-controlled services in the open round of the Community Child Care Fund, and no vision presented for supporting the development of new Aboriginal and Torres Strait Islander ECEC services. Access to quality early years education is proven to have the greatest impacts for vulnerable families, supporting a child’s successful transition to school and lifelong education and employment outcomes. ECEC is recognised extensively in Australia and internationally as the most effective intervention to support vulnerable children and families. Early investment in strengthening families can provide long-term social and economic benefits by interrupting trajectories that lead to health problems, criminalisation, and child protection intervention. Alongside the proven impact of investing in ECEC there is a growing body of knowledge evidencing the effectiveness of Aboriginal and Torres Strait Islander community-controlled ECEC services to successfully engage with Aboriginal and Torres Strait Islander families experiencing vulnerability. We have seen this evidence in the success of services like Lulla’s in Shepparton that has consistently supported upwards of 70 children over many years despite receiving funding for 17 places; we have seen it in the success of recent community-controlled services like Cullunghutti Children and Family Centre that in it’s first couple of years of operation grew to support 400 children and families in Nowra, New South Wales, most of which were accessing childcare and related early years services for the first time. As such, SNAICC believes that an essential component to closing the gap in outcomes between Aboriginal and Torres Strait Islander children and non-Indigenous children is a dedicated funding stream for Aboriginal and Torres Strait Islander early childhood education and care services. A dedicated funding stream recognises that Aboriginal and Torres Strait Islander ECEC services are not just about childcare. They are about engaging with children and families experiencing high levels of vulnerability.  Their aim is to support the wellbeing of the most vulnerable children and families in our community by reducing the service access barriers that many Aboriginal and Torres Strait Islander families experience in the mainstream system. They provide and/or link families to a range of essential services that support the safe care, healthy development and cultural identity of children. The federal government will often cite in its response to calls for a holistic community-controlled early years sector that childcare reforms focus on the provision of childcare alone, and other services need to be resourced by states, territories and other federal departments. While this is true to an extent, participation in childcare will not be possible for vulnerable families unless services are resourced to address the barriers to their participation and respond to families’ broader needs. There is a responsibility on all governments and their respective departments to collaborate to ensure that the potential of early learning environments to respond to the early years support needs of vulnerable families is harnessed, rather than disclaiming and passing responsibility between them. What does the new system offer Aboriginal and Torres Strait Islander ECEC services? The new system offers funding under two key streams – the Child Care Subsidy, which replaces the Child Care Benefits and is a means test payment to families, and the Child Care Safety Net, which offers funding for services where there is a recognised need for higher cost models of service delivery. Sitting underneath the Child Care Safety Net are two streams of funding that are extremely important for Aboriginal and Torres Strait Islander ECEC services: the Community Child Care Fund, which offers targeted funding to address barriers to childcare for families experiencing vulnerability, and the Additional Child Care Subsidy, which replaces the Special Childcare Benefit and provides additional supports to families and children facing specific barriers in accessing affordable child care related to children’s wellbeing and temporary financial hardship. When the Jobs for Families Child Care Package was passed the Minister for Education and Training, Senator the Hon Simon Birmingham, made a commitment to the Aboriginal and Torres Strait Islander early years sector by setting aside $61.8 million for services current funded under the BBF program. SNAICC welcomes this commitment to BBFs and the creation of a restricted non-competitive grant opportunity under the Community Child Care Fund, which is an addition to an open competitive grant opportunity only available to a select number of eligible child care services. The majority of centres set up under the ACFC initiative are not eligible to apply for funding under the Community Child Care Fund. ACFCs are not eligible to apply for the restricted grant funding round, and the open grant funding round requires centres to be operating in a limited range of ‘priority areas’ – which the majority of ACFCs fall outside of. Many ACFCs across the country have made enormous gains in engaging Aboriginal and Torres Strait Islander children over recent years and the Department of Education and Training will be missing an enormous and vital opportunity to support the participation of our children in early learning and care if they do not support their operations through the Jobs for Families childcare package. The CCCF guidelines do not include any recognition of the value of Aboriginal and Torres Strait Islander community controlled early years services to successfully engage families and provide culturally safe and quality child care. The open competitive round guidelines do not include any reference to increasing the participation Aboriginal and Torres Strait Islander children in the new system or a requirement for services to be culturally competent. ACFCs, and services set up under the ACFC initiative that provide childcare, are included in the list of eligible services able to access funding under the restricted non-competitive grant opportunity and the open competitive grant opportunity. Both CCCF funding rounds include a prioritisation for Aboriginal and Torres Strait Islander community controlled services to deliver services to Aboriginal and Torres Strait Islander children and families, and the demonstration of cultural competence by non-Indigenous providers. Grant opportunities under the restricted non-competitive funding round are identified as being necessary in the long term for many communities, not purely to support transition to the new system. Specific recognition is included in the application support and assessment for the non-competitive round that eligible activities may go beyond those specified in “Transition Plans”, which were created without an adequate focus on innovation and growth to respond to the needs of vulnerable families. Services should be encouraged to describe existing successful approaches and innovate to propose new activities that support the participation of vulnerable Aboriginal and Torres Strait Islander families. The assessment criteria for both funding rounds be explicitly aligned with the objectives of the Community Child Care Fund to increase participation of vulnerable families, including Aboriginal and Torres Strait Islander families and address barriers to their participation – replacing the current narrow focus on transition and viability. Aboriginal and Torres Strait Islander children have the right to grow up in nurturing environments, with loving and supportive families, in the richness and beauty of their cultures with access to good health, wellbeing and the opportunity to thrive. If we don’t act now, the outcomes for our children will only get worse.